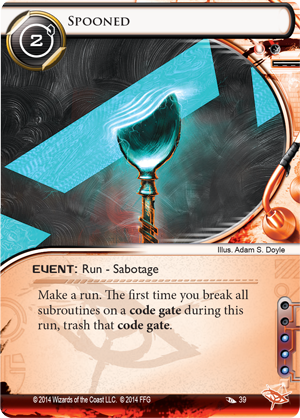 When I think of Netrunner’s balance between Corps and Runners over the years a pendulum comes to mind. The power balance has oscillated back and forth as the designers have implemented new mechanics to expand the game laterally rather than vertically. It has been a great ride watching the strategies change as new mechanics are released. This trend continued into this year’s tournament season with an influx of powerful runner cards and IDs that flipped the power back in favor of those pesky hackers. Now we have entered the season of clicks for the runner and the winter of discontent for the corp, and I am concerned about the meta implications of all these free runner clicks for corp archetypes and the game as a whole. The three mechanics that make the runner frighteningly click efficient are Geist’s trash draw ability, Hayley’s piggyback install and the adoption of Wyldside-Pancakes as the anarch draw engine. Wyldside coupled with Adjusted Chronotype has had the most competitive success and is just simply outstanding. The ability to draw two cards a turn while retaining four clicks solves the Anarch’s biggest weakness: penalty free draw. Across the IDs the struggle is to install and be able to run in the same turn and wyldside is back from the graveyard to help you party all night and rock all day. Furthermore, cards such as Career Fair, Paige Piper and Street Peddler has mitigated the variance of a two card draw system. Anarchs are the most disruptive and faction and now you get all the tools you need to take the corp apart without having to spend a click to draw. This engine essentially provides two extra clicks a turn to the faction that most often needs its clicks for resource money and to install tools like Parasite. In essence, this draw engine gives anarchs the clicks to not just compete but dominate. Recently, the spotlight has been on anarchs due to their flexibility with influence and their ability to apply pressure to all servers. Hayley has seen some success in competitive play but is still being cookbooked. With the flexibility and power of prepaid Kate, people are wary to cheat on their favorite shaper for a mere college student. Despite a snub in tier one, her ability to install two cards of the same type with a single click is potent. Her piggy back ability also makes shaper’s clickless install tools like Self-modifying code and Clone Chip more effective, allowing you to bring a needed card out of the hand midrun. Previously, archetypes such as stealth that require many items to function were weak outside of Andromeda because set up time could lose you the race to seven AP. Now, you can set up rapidly using efficient draw tools, replicator and surprise installs to keep the pressure on the whole game. Hayley was the first breath of air in this cycle’s attempt to make less played strategies more viable by giving runners free clicks. Her click compression will be mastered when Kate falls out of competitive favor and more minds focus on her Ability. An ability which maintains the shaper incentive to install in a way that encourages new decks instead of slotting her in to Kate’s archetypes. Who uses clicks to draw cards? Losers. The “spirit” of draw is strong this cycle, especially with Geist, criminal’s newest edition. I have discussed before that the designers do a masterful job of reintegrating panned cards into competitive play and Geist is the king of under-utilized cards. His ability states whenever you use a “trash” icon ability, you draw one card, which appears on a whopping 33 different runner cards. In addition, with the exception of clone chip, the most effective of these cards are native to the criminals including: crescentus, fall guy, grappling hook, and the B&E breakers. His “free” clicks are unique in that there is a variance but no upward cap, if you have the trash cards to use you can get as many draws as you can handle. This enables him to setup while and as a reward for running. His clickless draw engine coupled with criminal tools makes him one of the most avalanche runners I have ever played. The new breakers that trash to use gives him a card, using Crescentus gives him a card, using a Clone Chip to get a breaker to use can give him TWO cards all while running. If you include Autoscripter, you may be able to get the click you used run back for using a Clone Chip…. VALUE! Similar to Noise, playing Geist rewards you for what you want to do anyway. In the case of Noise you get to threaten archives and remove tools for installing viruses and for Geist you get to draw more cards for using criminal tricks like Crescentus, Decoy, or Spike. The difference is that Noise’s reward is limited by the number of viruses he can play in one turn whereas Geist’s limit is the number of trash cards you can use this turn and how much you can hold/install. There is a lot synergy native to Geist , he can draw up to safety during a run and find what he needs as a reward for applying pressure to the corp. Criminals like to run and Geist gets more fuel by spending fuel. To give an example in a single Account Siphon run with The Ghost of Running Past I derezzed two pieces of ice and drew four cards including another AS after using a Spike, a Crescentus, a Clone Chip and that returned Crescentus. This level of efficiency on the runners side would have been a pipe dream two cycles ago. That having been said, Geist has a weakness, if you don’t turn over his engine quickly it can cause you to fall flat and not be able to threaten anything. Marty you have to go back…… To that server. This level of efficiency and cool toys on the runner side has caused a shift in the way people make corp decks. 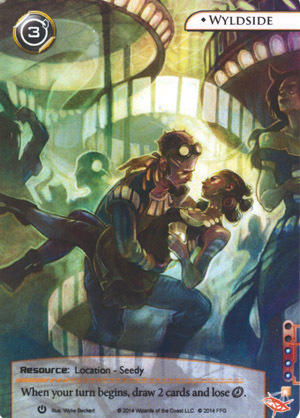 During the beginning of this year we were living in a rainbow spectrum of corp archetypes and I have witnessed a shift to hybrid kill decks such as Butcher Shop or decks that include Marcus Batty or Caprice Nisei. To me, this belies that people feel they cannot win by scoring agendas without a disincentive (kill cards) or a way to make runner credits less relevant (caprice). To put it simply, corps can’t make money fast enough since they lack the clickless tools that runners now enjoy. A set up anarch has 6 effective clicks to the corp’s 3 making scoring windows much scarcer. Decks that set up fast and have efficient econ such as PrePaid Kate, Geist, and basically all Anarch decks can threaten any server in the mid to late game. The aftermath of the new world of running where you can gain nine credits in two clicks and break ice for zero credits is a meta where ice and even Ash can’t reliably grant a scoring window without baiting multiple runs. 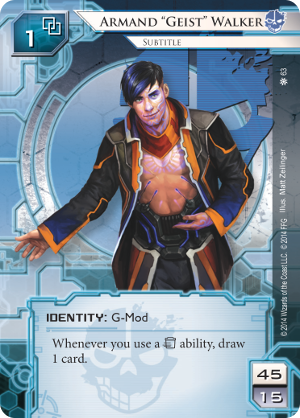 In today’s meta it’s difficult to protect an agenda without a PSI game. Is that a bad thing? Maybe, maybe not. Even the corps that get free draws like NEH and or clickless money like RP and HB gain benefits from installing things that can be trashed. Your benefit of clickless econ or clickless draw comes with vulnerabilities that these runner tools do not share. Furthermore, as the runner speeds up, people have expressed the “need” to play NEH to feel competitive and that gives me the sads. What concerns me is that a corp meta that relies on the PSI game will leave players (especially new ones) with the impression that the corp game ultimately comes down to luck. A cursory glance at Reddit, Stimhack, or Netrunnerdb will supply you with rumblings of dissatisfaction over losing by rock paper scissors. 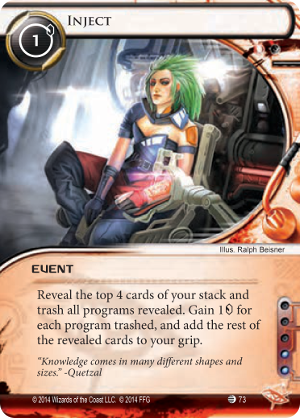 I love PSI as a mechanic and as theme for Jinteki, unfortunately, I have also experienced frustration over playing right and just not being able to win and the guilt when I rob people of games they deserved to win. I don’t know how this will be resolved by the designers but I hope that Batty and Caprice won’t be the only reliable way to protect an agenda in a remote server. Hello everyone. Welcome back after a three month hiatus to Self-Modifying Code. 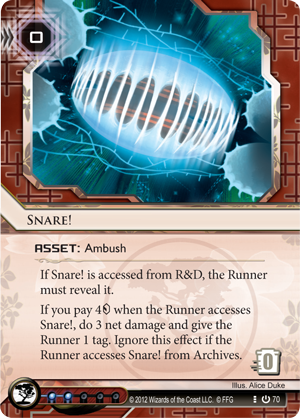 This game called Netrunner has been around for a bit and I have noticed a trend emerging, we can’t keep those pesky runners out of anywhere. At a recent 25 person tournament I found my glacier HB being laughed at by criminal and prepaid voicepad economy. Even Titanic slaying icebergs only buy you a one turn scoring window, so how do we corps get the power back: compression. 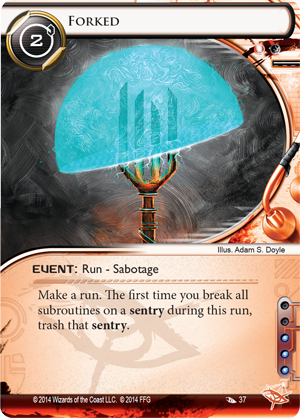 A gander at NetrunnerDB will reveal that the most competitive decks either compress clicks such as Replicating Perfection or threaten damage as a disincentive to making runs. Damage builds have been popular since the core set and have evolved from Weyland sea scorched and PE to a build for all factions and most identities. I say damage because the game has departed from pure kill builds with the exception of Butcher Shop and Blue Sun. The focus is on the threat of the kill to compress by forcing the runner to play differently. While Personal Evolution has always used damage to force the runner to slow down, lest they lose critical cards or their lives to damage. What excites me is how damage is viable in different identities, so lets take a look at builds that can use damage to control the game. The two most dangerous meat damage decks, Butcher Shop and Blue Sun, generate money quickly and create a game state where the runner has a limited number of turns to win after a steal. Both use Midseason Replacements to tell the runner “I don’t care if you can get in, if I have more money I will either immediately kill you or start a countdown where you must win before I find my kill cards.” These decks leverage money into victory by making it unwise to steal agendas without a stockpile of credits. Furthermore, both decks can create huge swings in power, NBN can use Information Overload and Psychographics to leverage tags into victory and blue sun taxing ice and the cost refund makes finding agendas a credit swing for the corporation that increases to potency of Midseasons. Hostile Infrastructure builds such as Shogun of the Net and Industry Secrets can kill but aren’t depending on it. These builds punish the runner by dealing damage for running, checking archives and trashing assets so trashing and looking for agendas costs you cards. This type of deck creates a late game where the runner cannot run due to lack of breakers, money, or cards in hand. I have had many a game with both decks where the runner cannot trash cards without dying and cannot dig RD or HQ because they are simply out of cards. 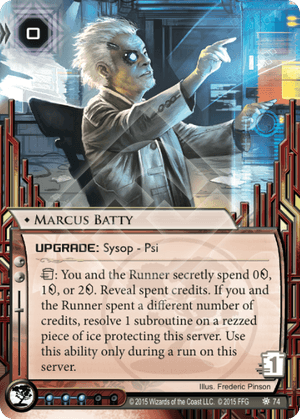 In the case of Industry Secrets the late game is making archives a Pyrrhic run so they either cannot afford or do not have the ability to trash the Ronins you’ve been advancing. Argus and Personal Evolution run the nibble based click compression using shell game. It takes too many clicks to draw, check all the servers and clear tags from traps/agendas. From personal experience I know the stress of playing against these decks. You don’t have enough clicks and if you run the wrong card you can take damage AND they score an agenda the next turn. Argus creates a damned if you do damned if you don’t scenario by making you spend an extra click and two credits after picking the agenda to clear tag or risk immediate death. In PE if you run that Snare or that Fetal you could be killed by a Philotic Entanglement or a Ronin the next turn, its brutal. despite the stress these decks cause, kills aren’t easy and you are unlikely to flatline unless someone makes a mistake. The use of hidden knowledge in these decks makes them a riot to both play and play against, the unknown leads to analysis paralysis and mistakes which you can capitalize on for a kill or to score points. Last but not least is my new favorite corporate identity: Cybernetics Division. This 40/15 HB division gives both players a max hand size of four, which, along with thing like Edge of World, Cerebral Overwriter and Punitive Counterstrike give HB their first viable brain damage build. What intrigues me is that right from the start of the game the runner has to throw away options and play with less held cards. This puts them on edge, they have to choose between cards they need and will often draw up as if they have five cards to keep, leading them to put tools they can’t use right now in the trash. Furthermore, if you can land any amount of brain damage that stress increases exponentially, a double advanced Cerebral Overwriter reduces their cards kept to two. This is an example of damage as a form of compression, now they must search for options and throw them away, choosing the must haves. This compresses the runners turns and gives you breathing room. This compression is permanent unlike that of Argus and PE and as such cannot be dealt with by drawing or clearing a tag. an Edge of World. Also, they must respect a Punitive Counterstrike or an advanced Ronin. It is a deck where every card could kill you or put you into a difficult gamestate. The version that I am enjoying is a PC based deck with three pointers, Mushin no Shin and Cerebral Overwriter, mine is decent but I feel this Dain Bramage deck does it best. This encourages rich runners to run, dig deep, find more than one three point agenda so I can nuke you off the planet. 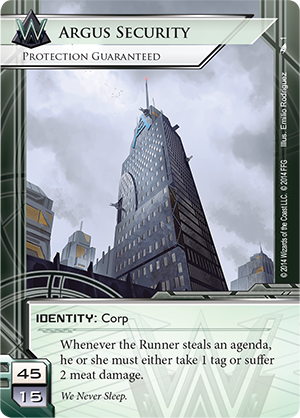 As I have found, the best way to make runners second guess themselves is build a deck where you want them to run. Cambridge PE has already proven the power of Mushin and in this build if you score a 5/3 out, it makes them far more likely to run your Cerebral Overwriters which dials the threat level up to 11. Once that happens you can breathe easier beacause your opponent doesn’t know which cards are trying to kill them. The way to control the game is to threaten a flatline to score or to use damage to steer the runner’s play, that is the path to victory when runners are rich and efficient. You have to make running dangerous, take away their clicks or take away their options. Noise, the hacker extraordinaire. 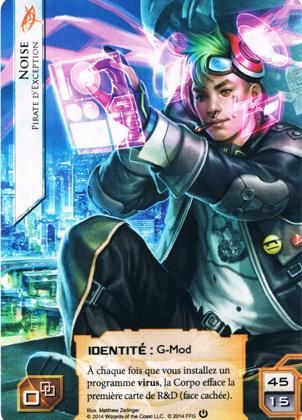 In the world before Jackson Howard he was the king and he has been my primary runner for most of the time I have been playing Netrunner. He lost popularity for a while and then came back when cache was released due to the power combo of cache and aesop’s pawnshop. After that people refined several iterations, won some tournaments and then shelved him again. With all the cards that came out in Order and Chaos I was expecting an explosion of interest in the original anarch but there was one new archetype that got some traction on netrunnerdb and then people moved to Reina and the new IDs. This is a shame because Noise is more versatile and powerful than he has ever been, and he finally has the tools he needs to combat his much bemoaned weakness: mill inconsistency. I wanted to write up a brief guide for Noise because I know there is potential waiting to be uncovered and I think that he is underplayed because of his presumed inconsistency. Today I make the bold claim that noise is not inconsistent, he is harder to play than a lot of other IDs, more so than any runner you have to make the right decisions with your clicks. When those clicks are spent well you win by a large margin but when they are squandered you are punished harder than you are with Andromeda or MaXx. Rather than focus on the piloting of a single deck, lets look at the four ways Noise is different from other runners: economy, disruption, draw and milling. I am going to give examples of two Noise decks for you to peruse but I encourage you to craft your own decks using the advice below and destroy your Netrunner opponents. cards that can be best utilized by the impactful turn strategies of the other anarchs (ex. Anatomy of Anarchy vamp turn and MaXx keyhole turns). 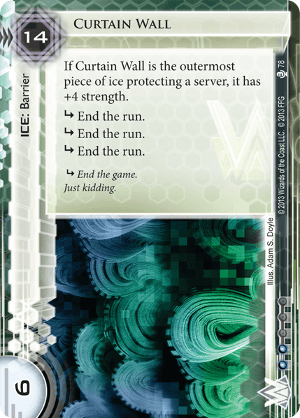 Noise wants his clicks for installing viruses and for running, so these cards are too slow to give a return on investment commiserate with the pressure lost by not milling or disrupting. This created an issue for Noise compared to other runners – pawnshop was not enough. Your engine could stall out if you got flooded with things you needed or couldn’t afford to install. 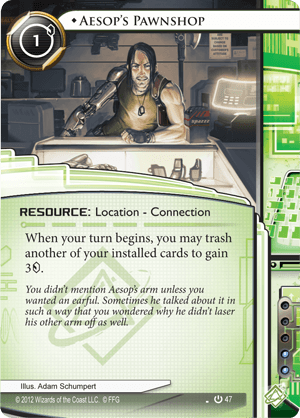 Then cache came out and breathed life back into Noise by giving him the best ID centered economy in Netrunner. Cache nets you two credits with no bells and whistles and mills a card (something you wanted to do anyway). If in addition to cache you are running pawnshop you now have gained five credits for one click while milling a card. The introduction of this card and its power is obvious. Less obvious is what this card can teach people about the role of viruses in Noise. The mindset you must have to play Noise is to never be attached to any installed card, instead think of every card as three credits you will have access to later. Cache teaches a runner that sometimes you should install one of three datasuckers just to mill a card and pawn it next turn. Remember that you have two more copies and it’s easier for you to get back that datasucker than it is for the corp to get back whatever you milled. 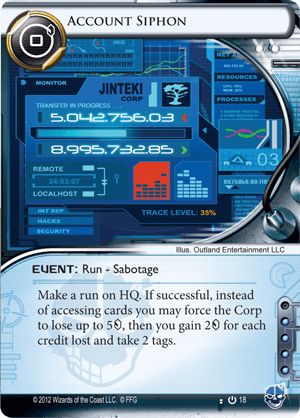 Noise’s economy is a suicide pact with the corp – everything you trash with the pawnshop costs the corp a card, but while you get three credits for the trouble they do not. What makes Noise great is that he makes money doing what he wants to do: installing viruses. In this way his econ is a lot like criminals where they get rewarded for running. Also like criminals, when you create that engine of reward you start to snowball. However, unlike other runners Noise’s econ is not straight forward, it has moving parts beyond just playing events or clicking Kati Jones. What if you aren’t running pawnshop? Well if you aren’t, hopefully you are splashing for pressure cards like autoscripter, account siphon or chakana. If that is the case then you might make up that economy with cards like Scheherazade or cyberfeeder to decrease the cost of your viruses and your runs. For example, I have found that you can play a very strong adaptation of Anatomy of Anarchy with Noise with the mills being an added bonus of archives pressure. 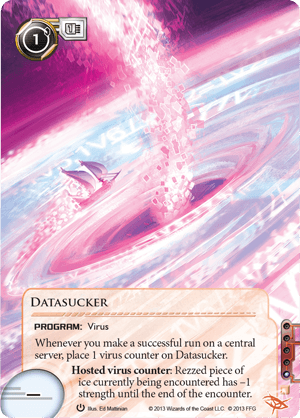 The question I ask myself when designing an econ engine for Noise is: “Am I going to want to and be rewarded for installing viruses?” If the answer is no then your deck may be better with another anarch ID. 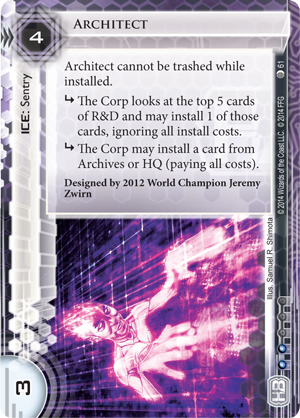 Anarchs as a faction focus on disrupting the corporation’s plans by changing the rules or by destroying cards. Noise is able to sample all of the different disruption tools and use them because all flavors can come with a side dish of mill. In order to build and pilot a successful Noise deck you need to have an avenue to disrupt the corporation beyond just milling. The reason for this is simple – mills are random and if you are building to have virus installs be your only form of disruption, you have to go all in. That makes your strategy inflexible and highly vulnerable to fast advance. You need to run, make the corp spend money to rez ice, destroy assets with imp, parasite away ice, etc… to buy you the breathing room necessary to snowball economically. A common mistake for new Noise players is to focus on milling and forget that the runner’s number one job is to pressure the corp by forcing them to spend money. In my own experience, imp, ice destruction and gravedigger makes a strong disruption combo that synergizes well with a general mill strategy. I can install a gravedigger, mill a card, install imp, mill a card, trash an asset with imp, and then last click use the gravedigger token to mill a card, so in one turn I can mill three cards and deny economy or FA tools. Using gravedigger I can also gain additional mills for trashing ice in addition to the mill I get for installing parasite. Other options include chakanas on progenitor with hive mind and virus breeding ground. This combo slows down the corp by forcing them to leave agendas vulnerable in remotes or by purging, buying you free turns. Another great option is to use incubator as a passive threat. Letting it build even with no intent to use it will often provoke a purge every three turns to prevent you from installing a nerve agent or a medium and immediately threatening 4-5 cards. In essence your deck has to have a more direct way to effect the gamestate if you plan to win. It is one thing to mill cards, it’s another to have the ability to trash HB asset economy, imp away biotic labors AND be able to mill cards every turn. This is where the skill and power of Noise is, the one two punch of denial and pressure created by using your clicks wisely to randomly mill and actively disrupt. In the early cycles Anarchs struggled with draw and often used influence to provide more consistency. Luckily for our chaotic friends the last cycle and the big box solved most of those problems. In the olden days people defaulted to wyldside in Noise but it cost you a precious click that you needed to mill and apply pressure. People didn’t think of Noise as needing clicks since all he was doing was milling, which is a mindset that made him less competitive. The lack of pressure was increased with the advent of enhanced login protocol which finished off wyldside based decks and pushed them out of the competitive meta. 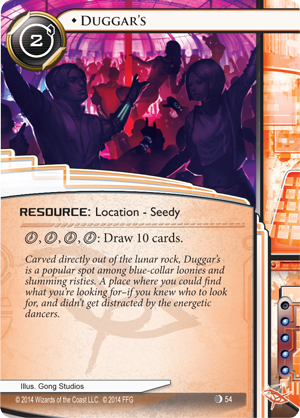 For our discussion we will focus on the three draw cards seen in many Noise decks: wyldside, earthrise hotel and inject. For the reasons mentioned above wyldside is not a strong option as it gives your decks several bad match ups. The only exception to this is autoscripter mill decks which gain back the click that they lose. Wyldside can also be good if you use it like I do and are willing to pawn it and start drawing normally if you have to. If I am running a mill focused deck, the second enhanced login protocol hits the table I will pawn wyldside immediately and run on four clicks until its gone. 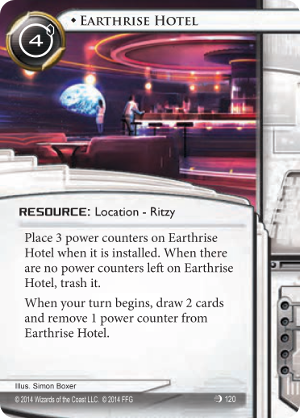 Earthrise hotel is a resource that gives you the same two card draws that wyldside does but without losing a click every turn. It has a three turn lifespan but I find that it is the best draw econ for Noise because it doesn’t flood like wyldside does and gives you the flexibility to apply pressure. Earthrise also reminds you that Noise is in fact a runner, eventually it runs out and you have to click to draw like everyone else, breaking the tunnel vision where I felt I HAD to install the viruses I was drawing instead of running. Staying the night in a hotel instead of a club lets you keep your ideas and not lose track of your time. Inject is the bees knees for every Anarch except Noise. After extensive testing I have realized that inject is for people like MaXx and Whizzard who need to get through their decks and find that tool they need right now. They run considerably less programs than Noise and can save their handful of recursion tools for the keyhole or eater that gets tossed away by inject. Noise wants to install his programs the first time and also recur them and if milling is my forte then I am running twice as many programs as other decks. If I am forced to use deja vu or clone chip for a breaker that reduces the power of my ID ability. Inject is guaranteed to make you money in noise but you are going to end up losing more and decreasing your consistency. My experiments with inject have shown me that when you try to play Noise using the same mindset as you would other Anarchs you end up making a suboptimal Noise. You need to find viruses and have clicks to install and run. With that in mind I feel earthrise, I’ve had worse and chopbot to be the best draw cards for the hacker extraordinaire. The ID ability of trashing the top card of RD when you install a virus was and continues to be one of the most powerful abilities in this game. However, it is random and in most games will not be enough to win. You need to know when to mill and when to build. When I teach people to play Noise, one of the first mistakes I see is that they will mill a card or two, check archives, then check RD. I like to think of his ability more like a strange RD interface. When you use the technique above, you check archives with no knowledge and then RD with no knowledge. I would instead run RD and see the top card – if I cannot steal it or trash it then I install a virus, milling it, and then run again. In this way I am able to mill with knowledge and know where the agendas are. This is a critical skill with Noise, to mill and trash with purpose so you don’t waste your clicks running an archive with no agendas. In addition, do not get hung up on milling as much as possible every turn. If you consider that on average one in every six cards will be an agenda so you don’t have play every virus every click, all mills are good mills, remember to spend time applying pressure. You need to pay attention to the board state. If you are against an asset based corp and they are turn after turn installing no assets then you should pressure HQ and save your mills because they have agendas in their hand and assets waiting to be drawn. If you are seeing everything being installed besides agendas then the time to mill is now because they have their tools in HQ and the agendas are in RD. Read your opponent and as Noise you have the ability to apply pressure wherever you need to. Milling is something to do early and often, but it is not the sole avenue to victory. Milling gives Noise the ability to pressure all centrals and take away the tools the corp needs to deal with your runs. So now that we have gone over the basics here are two decks that I think are effective but utilize Noise in very different ways. 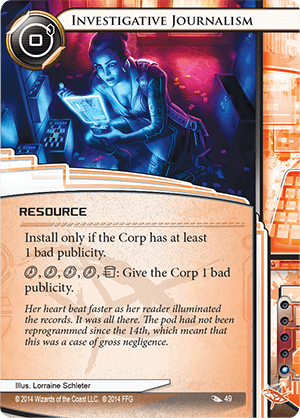 The first is the Can’o’Whupass deck that utilizes chakana and hivemind to lock the corp’s ability to score and then mill with impunity. 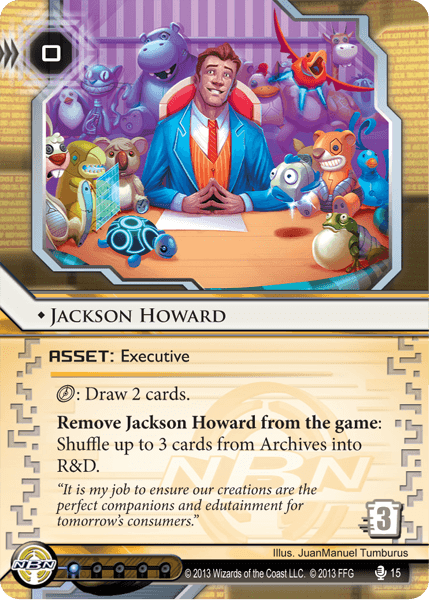 It focuses on applying viruses in the right order and stalling the game until the corp cannot advance and you have an economy strong enough to pick agendas out of HQ or a stocked RD that has been enriched by all three jackson howards. Its weaknesses is drawing stuff in the wrong order can really screw you and make you vulnerable to fast advance decks. The second is the current version of my Noise deck which will be published in tandem with my next Deckbuilding Derezzed video. I am calling it Choir of the Dead and it emphasizes getting maximum mills for my disruption using gravedigger, imp, parasite and grimoire to put as many cards into archives as possible. I strive to have the best balance of draw, econ, mills and disruption to make a flexible Noise deck. It is vulnerable to FA decks if it gets bad draws and you need to mulligan for aesops or earthrise in your opening hand. So, big news, I joined the Blackhats as a video content contributor. My segment will be called Deckbuilding Derezzed and you can find it above. 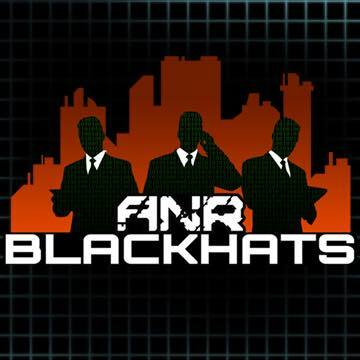 Here is the channel for ANRBlackhats on YouTube, check us out and subscribe. Welcome back to Self-Modifying Code, today I want to review the state of the Weyland Consortium and its new divisions. 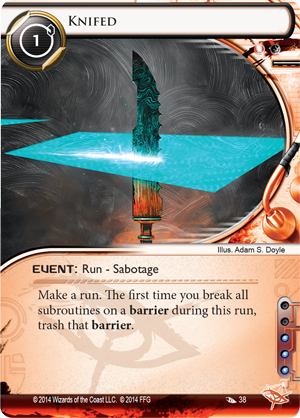 Since the release of Order and Chaos, most of the excitement seems to be around the new Anarch cards and NetrunnerDB’s front page is saturated with Anarch decks. I attribute this to the much needed power spike given by these cards to both Anarchs and runners in general. However, it is important to set aside all that chaos for a moment and look at the new Weyland order. 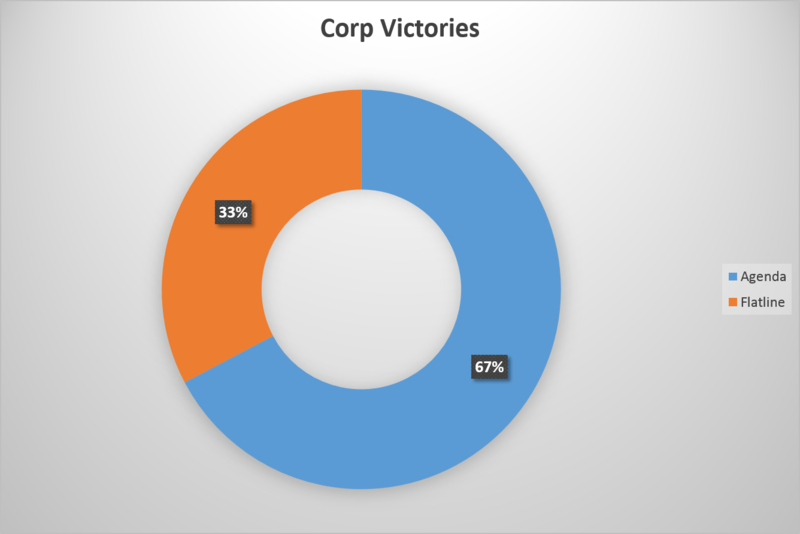 To preface, both Creation and Control (C&C) and Honor and Profit (H&P) had some lateral expansion but mostly what they accomplished was giving more options to the core IDs. 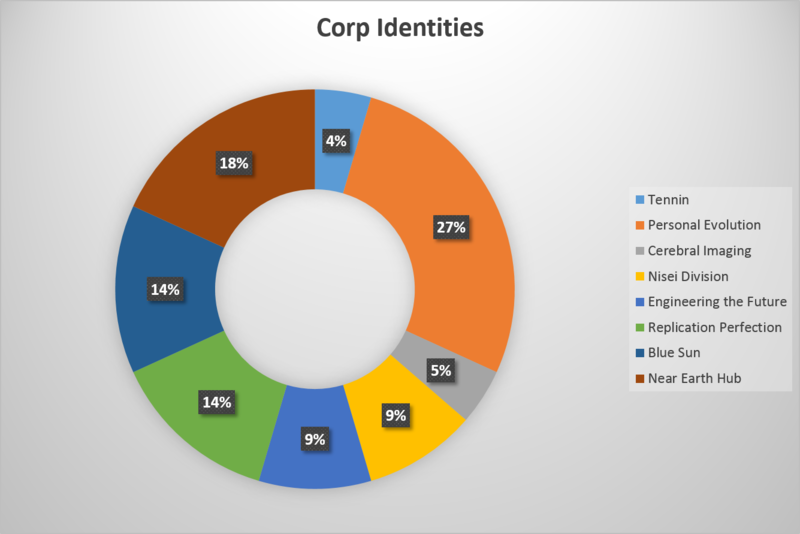 This is exemplified by the fact that while the C&C and H&P corp ids are played, the biggest power boosts were seen in Personal Evolution and Replicating Perfection which climbed to the top of competition and the increased tools for Engineering the Future which continues to be the most dominant HB id. That is not to say that the big box ids are not powerful or viable, they are, what I am saying is that when the dust settled these box sets provided power boost to core identities and expanded established strategies. 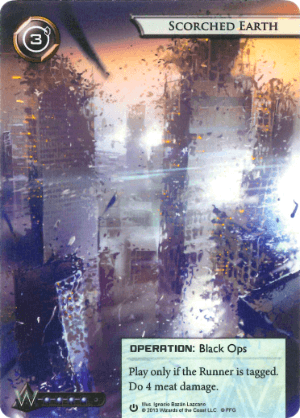 This is not the case with O&C, core Weyland got almost nothing, there are zero transactions in the entire box and almost everything that could be used by core Weyland could be better used by Blue Sun or one of the three new divisions. In keeping with the theme of the large conglomerate, Weyland is less focused on the parent company and is instead investing more heavily in its divisions. In that vein, a review of the three new divisions is the order of the day. The first new division joining the consortium is Argus Security, which is a standard 45/15 identity with the ability that when the runner steals an agenda they must take two meat damage or a tag. We see two effects here Weyland likes, a tag and some bag but in the form of a tax. At face value this ability seems underwhelming, but in practice it turns every agenda into a two cred and one click NAPD. This identity has interesting interactions with runner strategies, most notably multi-access runners. As a tag avoidance runner (I will discuss tag me later) multi-access cards such as RD interface or legwork could leave you with multiple tags you cannot clear, forcing you to take meat damage, reducing your plascretes or reducing your hand. In this way this id funcions similiarly to Personal Evolution, taxing you for stealing agendas in the form of cards, money and time. Also like PE, Argus makes the runner extremely wary to run on their last click. Argus has strong synergy with advanceable traps such a ghost branch, cerebral overwriter and shattered remains as well as no-advance tools like snare. These tools can turn Argus into a high agenda density shell game similar to the Personal Evolution seen at worlds. The taxing nature of the ability can allow you to bluff out agendas disguised as traps and vice versa. Imagine if you will, hitting a runner with a double advanced cerebral overwriter and then a few turns later double advancing a posted bounty, waiting to score it until you have two scorched earths, bluffing it as an unused trap. Furthermore, this id makes dedicated response team more potent, setting up a meat damage one way or another scenario that also synergizes with snare and can help deal with tag me runners. When coupled with standard meat damage tools, data raven, midseasons and traffic accident you can create the first Weyland meatstorm that can trash plascrete with traps and/or nibbles of damage. In essence, Argus can create a viable thousand bullets strategy that lets you bluff out agendas or flatline by compressing the runner with its taxing ID ability. And you thought you would never use vulcan cover up! Argus Security, letting you in so we can blow up your house, two meat damage at a time. Here is a deck that I feel utilizes this ID well though as a supermodern type deck. Gargarin Deep Space joins the consortium as Weyland’s exploration division, hopefully they won’t come across any xenomorphs in their travels. A 45/15 identity with a thematic ability of expanding outwards instead of upwards. Each time the runner wants to access a card in a remote server the must pay one credit just for the priveledge. Again, we see a taxing ability that makes sense,it would naturally cost more resources to access servers that are in space. 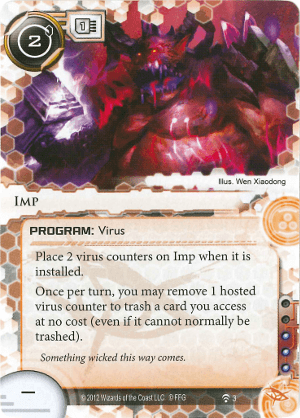 This new id is a departure from most weyland decks in that it plays a number of unprotected remotes instead of one super server. Using pad campaigns, constellation protocols, the root and other assets you can tax out the runner’s economy and clicks allowing you to rush out agendas with ash or a san san grid OR set them up for a sea source and double scorch. To illustrate just how taxing this id can be, here is an example from the a game played before writing this post. I had two asteroid belts rezzed on a remote containing a san san city grid, an unadvanced NAPD and a rezzed ash. It cost the runner 10 credits to pass the ice using corroder and then 4 credits to beat the trace, 5 to access and steal the NAPD, 6 for the san san grid, and another 4 to trash the ash, a total run cost of 29 credits for one agenda. In the end my opponent stole the agenda but did nothing else and in the ensuing break in pressure I scored an atlas and a superior cyberwalls out of hand on the san san. It is important to note that this id also really enjoys the cosmic ice such as nebula, wormhole and asteroid belt as they tax the runner disporportionate to your payment and also because Gargarin’s ability makes constellation protocol worth deck slots. Paywall implementation, the much maligned Weyland current also creates two credit swing every time the runner wants to check a remote server and does a great job of supplementing pad drip economy. All in all this is the identity that I am most excited about from the big box even though its playstyle is more straight forward. Install high value assets, tax the runner and rush agendas during the ensuing windows. This is the deck I have been testing and tweaking for the last week. SPACCCCCCEEEEEEEEEE! 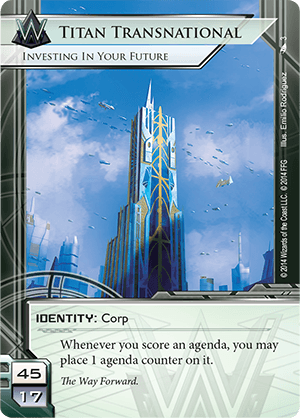 Weyland is the money faction and has been since the core set, and if you think big corps and big money, the acquisition of Titan Transnational would be a logical choice for the board of directors. A 45/17 with the ability that all agendas gain one additional agenda counter when scored. This corp has several powerful effects, such as all Project Atlas’ in your scoring area get one counter automatically, giving you a free tutor. This can enable you to set up a kill without risking a double advanced atlas as well as another neat “trick” discussed below. Moving past atlas, agendas like high risk investment, geothermal fracking and firmware updates all gain an additional counter when scored which gives you more of a good thing. 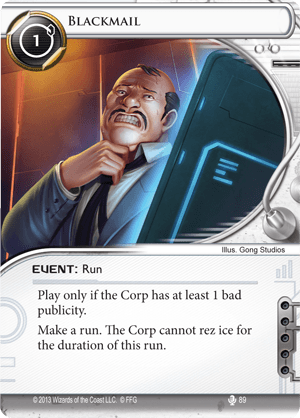 Furthermore, Mark Yale, one of the Weyland executives released in this set gives you money when you spend agenda counters or burn them which means that when you score agendas that doesn’t have counter effects like hostile takeover, you can receive 3 credits for trashing that useless counter. 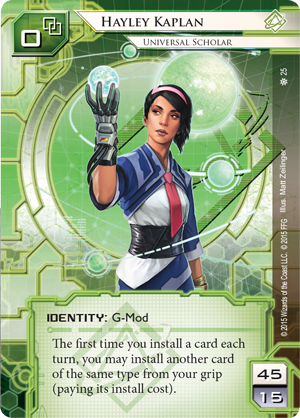 17 influence also means more outside tools, creating a Weyland deck where fast advance and tag tools can mingle in the same deck. Consider that using trick of light you could take advancements from a cosmic ice to score a project atlas out of hand with two credits, receiving the free agenda counter, you can then wait until you see another atlas or trick of light, use the atlas counter and get the other part of the combo to immediately score another atlas out of hand for 2 credits. This creates a remoteless fast advance that can win the game quickly for little money. If you choose to forsake the space ice and go the san san route, that grid becomes a MUST trash for the runner as you can win in 3 turns after scoring your first atlas by tutoring for the others. 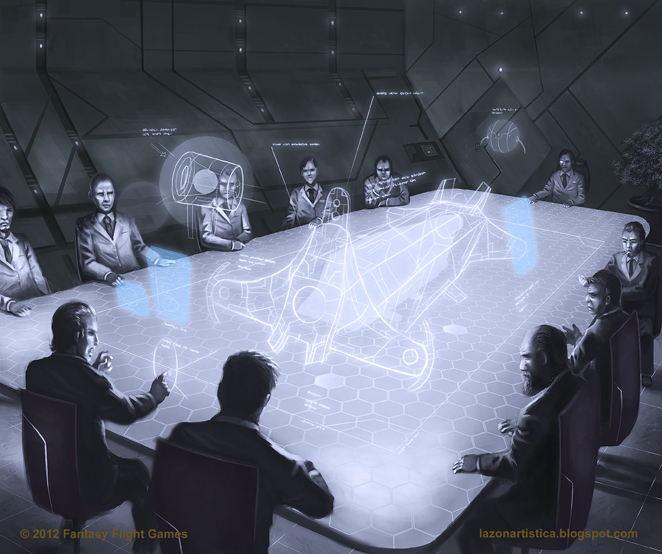 Also, similarly to Near Earth Hub, if you choose neither strategy, with 17 influence you can do everything Weyland does but better, making this a popular supermodernism reboot for the Weyland die hards like myself. Below is my deck utilizing the fast advance power of the cosmic ice, trick of light combo. **Note: our hedgefunds are unsinkable in that they do not exist in the physical world and do not posses any buoyancy or mass, fund returns and performance not guaranteed. 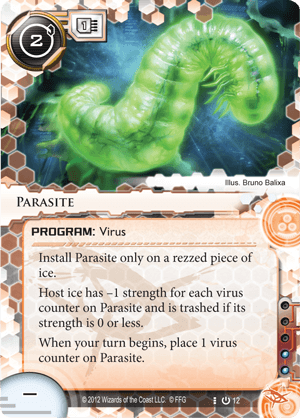 The new cards added to the Weyland repertoire have done what a big box ought to do, namely make Weyland stuff better, such as advance ice, meat damage and agenda counters while also expanding the archetypes available. 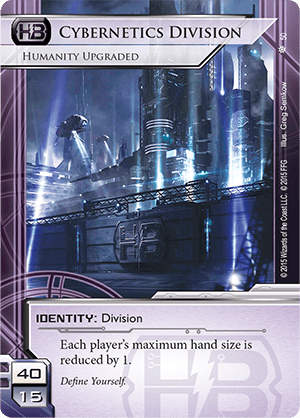 All three of these new divisions are quite viable and a fantastic blend of Weyland classic with expanded horizons and new avenues to victory that are both enjoyable and potent. 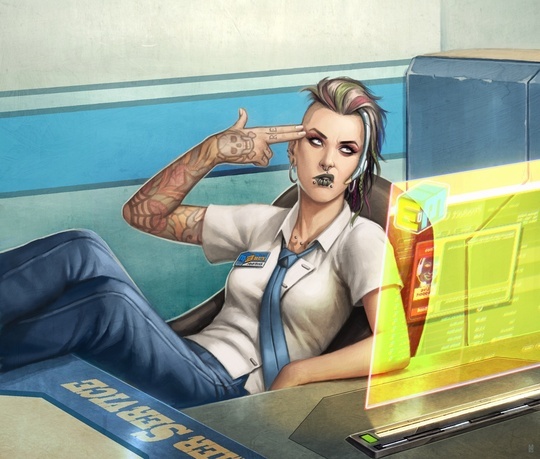 Welcome back everyone and sorry for the long hiatus, I am transferring my employment to a different hypercorp so I lost my handle on the blog. Today I would like to discuss the big box expansion for Weyland and Anarch factions that will be released shortly. More specifically, the Anarch cards that will add much needed power to our runner decks. 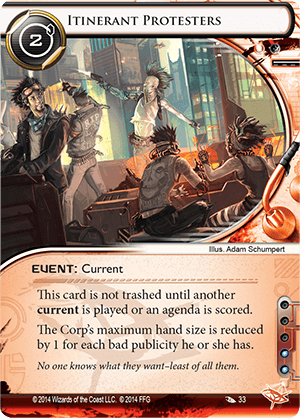 With these cards looming in the distance, I feel the current state and future of the Anarch faction merits discussion. Order and Chaos may be the push that Anarchs need to become dominant in their own right. When you look at stimhack they seem to be occasional dark horse winners and a glance on any deckbuilder will reveal them to be the most borrowed from faction, and yet they are not dominant at high levels of play. To understand we must first ask ourselves what do these orange cards do? Based on my experience Anarchs are good at interfering with the corporation’s strategy and circumventing the game’s “normal” mechanics. 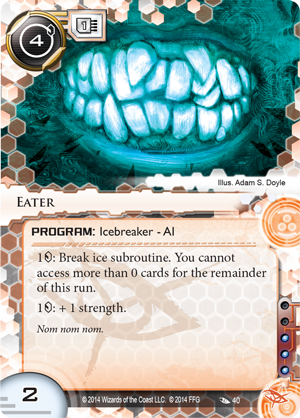 Parasite and datasucker are the most heavily borrowed anarch cards besides corroder and they directly change the value and impact of ice in the game. Ice destruction reduction/destruction continues to be common and looking at the roster from worlds 14 of the top 16 decks used datasucker and 6 of them used parasites. 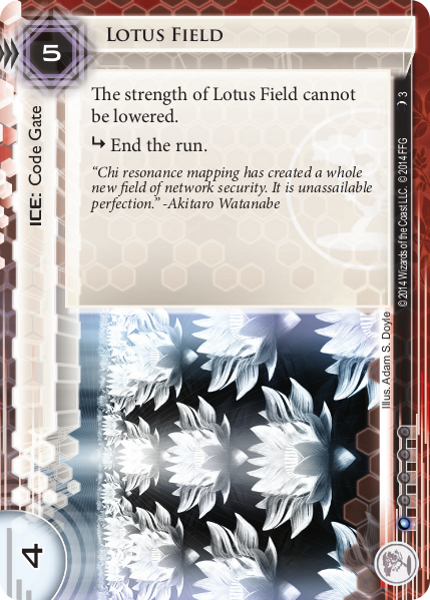 So pervasive is this strategy that cards such as lotus field and architect have created new ice mechanics in order to balance them. economy and big ice is strong with the strength of RP, NEH and Blue Sun in the meta. Imp and d4v1d are potent cards that can cut the legs out from under these decks and they are both Anarch cards. 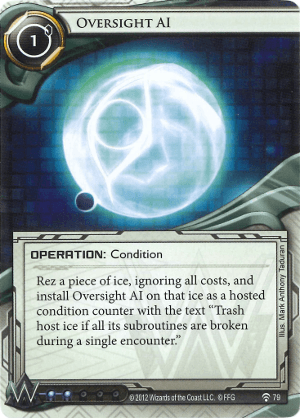 With the prevalence of Blue Sun,d4v1d has been pervasive in Shaper recursion decks as the most cost effective way of dealing with curtain wall and oversight AI. So Anarchs have the best toys that everyone wants to borrow, and yet besides the Anatomy of Anarchy and a few Noise wins relatively few seem to play Anarch competitively. Competitive play is all about consistency and true to their theme they are chaotic and unreliable in their play. They are meh at money and super meh at drawing cards without a catch as with wyldside, duggars and inject. Also, the tools they need to borrow cost more influence than the tools they lend to other factions. To use Noise as an example, utilizing the fantastic economy engine of cache and aesop’s pawnshop costs 9 out of 15 influence where as the entire Anarch breaker suite with datasuckers costs Andromeda 7 influence. Two datasuckers and two parasites for your ice destruction Katman hybrid costs you 6 influence, where the account siphons for anatomy of anarchy cost 12 influence. The big box will add a lot of consistency across the board but certain cards in particular are going to make Anarchs more dangerous and successful. Bad pub control cards such as Valencia Estevez, Protestors, investigative journalism and blackmail will reduce economy problems while allowing Anarch to continue its long tradition of circumventing the corp strategy. Clot, the dark god of San San cycle (while not in O&C) will be a one cost, one influence virus that trashes on a purge that reads “The corp may not score any agenda on the turn its installed”. 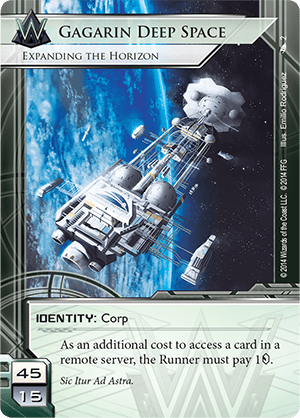 While far from a deathblow, the low cost and potability of this card will force fast advance players to work in other avenues to victory instead of putting all their eggs into the astro basket. FInally, the four cards that will be most impactful overall to the Anarch playstyle are eater, forked, spooned and knifed. Eater is the AI breaker that Anarch has needed, a universal breaker that with efficiency of corroder and the low cost of a zero card access. 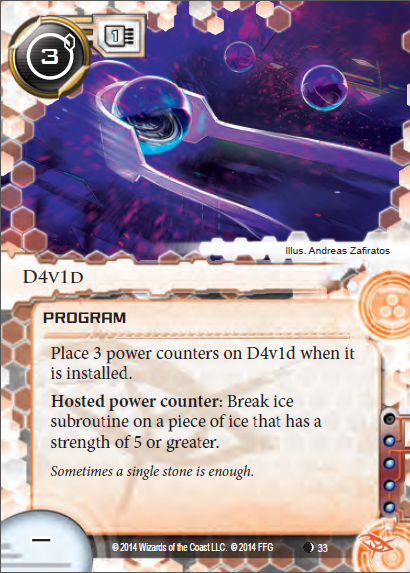 You can still siphon, build virus counters, use keyhole,dirty laundry, quest completed and use the cutlery mentioned above to destroy ice setting up for future turns when you access more cards and get in more efficiently with your other breakers.